So I’ll let you guys in on a secret, a very sad secret. Back in the UK, where I’m from, we don’t have sprinkles like this. At all. 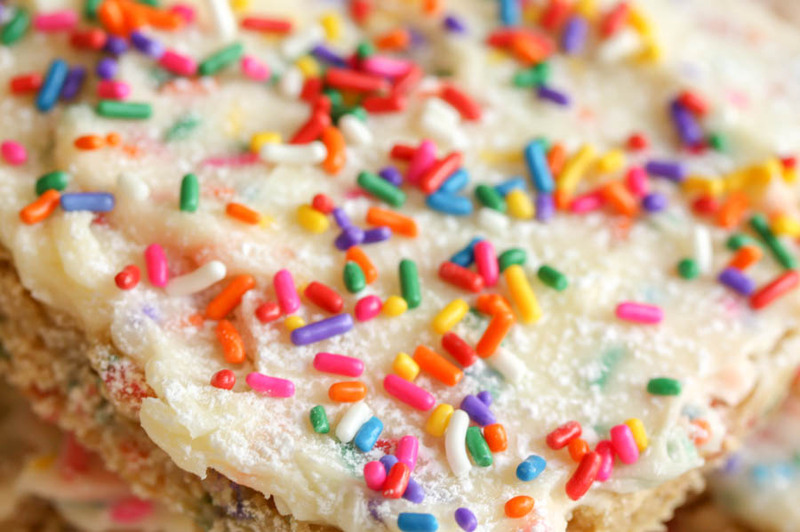 Funfetti is not a thing. Just let that sink in a little. 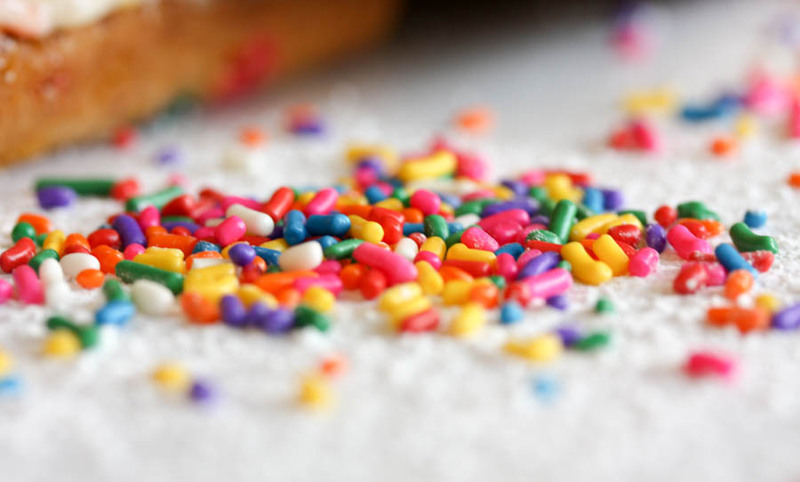 I know that these sprinkles are only so colourful because of the artificial colourings (which are not permitted in the UK, unfortunately), but they are so pretty! 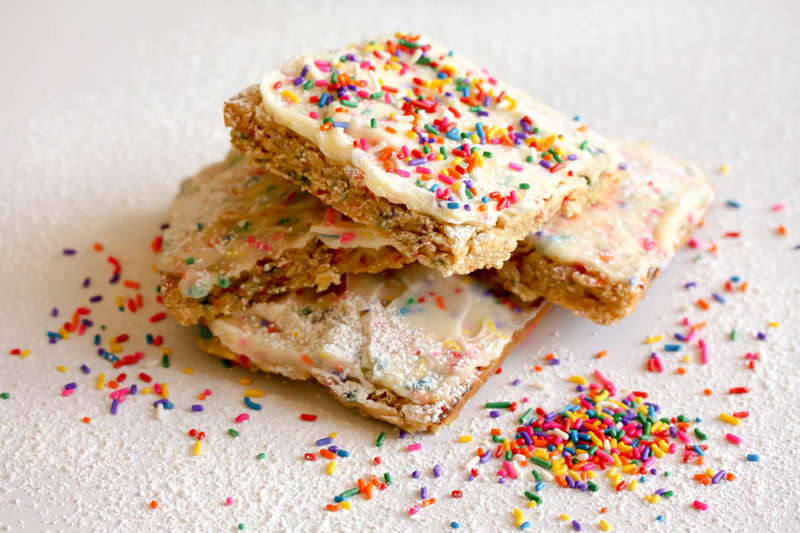 So I knew that one of the first things I had to bake for the blog was something funfetti! 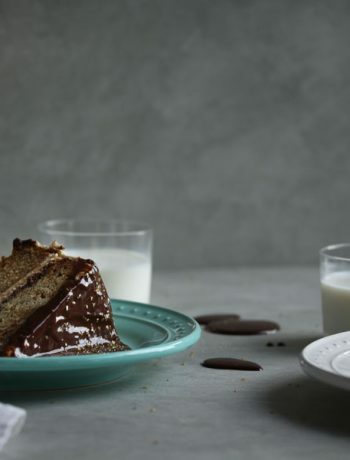 Cake is great, but you have to cut it all up and get plates and those little dainty cake forks and you can’t just free-hand it into your mouth like you can with something in bar-form. And admittedly, ease of eating is a priority here. Cookies are also great, but they disappear way too quickly. So I opted for an inbetweener… something with the ease of a cookie but the chewy denseness of a blondie. 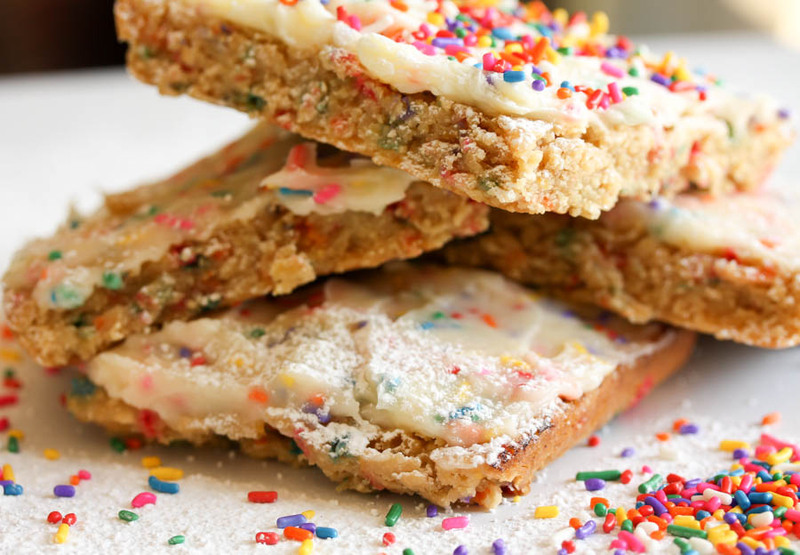 And so it was that the frosted funfetti blondie bar was born. Has a certain ring to it don’tcha think. So anyway, back to the sprinkles. There is just something so celebratory about them to me, maybe it is because they’re like gold dust back in England, maybe the bright colours are just so reminiscent of childhood birthday party excitement vibes. They remind me of ribbons and balloons and gift wrap and treats. I hope these bars evoke the same feelings in you. The buttercream frosting was a no-brainer. There should ALWAYS be frosting, and this one is so pretty with the colours of the sprinkles become more pastel-hued once enveloped in the buttercream. But be warned, these things are SWEET. Maybe a glass of ice cold milk on the side would go down well here. Or a super strong black coffee, if you’re a caffeine addict. Swap out a donut or a boring old cookie for these at the office, you’ll be employee of the month I guarantee. That was always my excuse for baking sweet treats at least three times a week back when I worked as a teaching assistant. There was always a staff-room full of willing test subjects, who would also ensure that I didn’t eat everything myself, as may well happen if you don’t start offering up your baked goods to others. I found that it was a great ice-breaker, and who doesn’t like the person who turns up with a boxful of cookies or cupcakes every day! It might also challenge you, if for example some of your co-workers have allergies or are gluten intolerant. You’ll get a chance to try out new ingredients, different types of flours and dairy alternatives and nobody will be left out of the break time snackathon! Win win. Preheat the oven to 350. Melt the butter and cream cheese in a heavy bottomed saucepan over a low heat. Let cool slightly. Beat in the sugar, egg and flour with a wooden spoon until smooth. Add sprinkles and stir. Pour into a greased 8x8 baking dish and bake on the middle shelf for 20 minutes. Once cooked, let cool completely while you get started on the frosting. Don't make the same mistake as me and try and *soften*, read melt, your butter in the microwave. 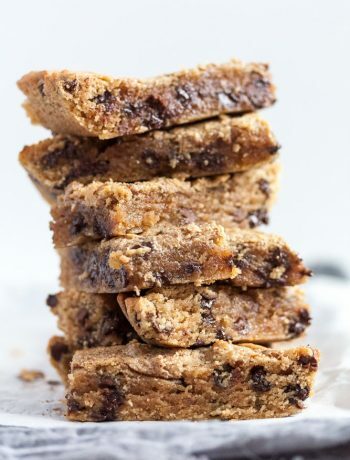 Get it out of the fridge when you start making the blondie bars so it can warm up slowly. 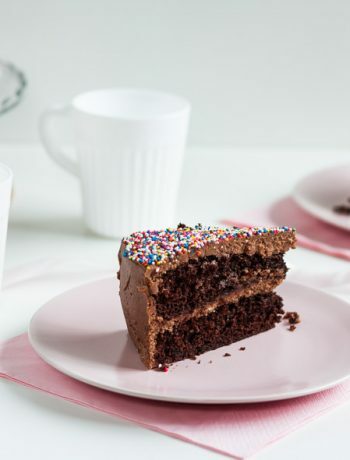 With an electric hand whisk or the paddle attachment in a stand mixer, combine the butter and powdered sugar, then fold in the sprinkles with a spatula. Spread the frosting over the cooled bars, I like using an offset spatula for this. 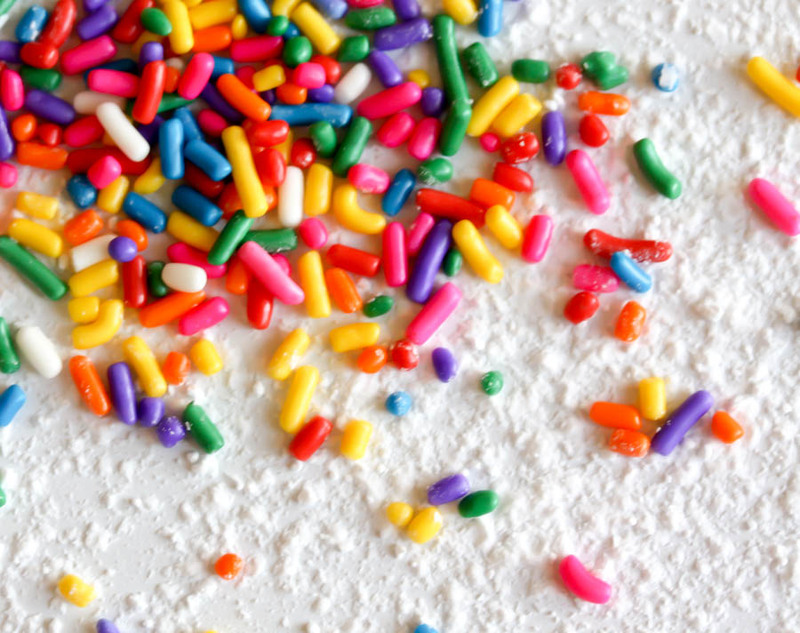 If, like me, you just cannot resist, top with more sprinkles and prepare yourself for the sugar high.